My daughter and I played around with some fudge recipes yesterday and I thought I’d share one of the results with you. We made delicious, super creamy peanut butter fudge with sugar, milk, marshmallow creme and of course plenty of creamy peanut butter. 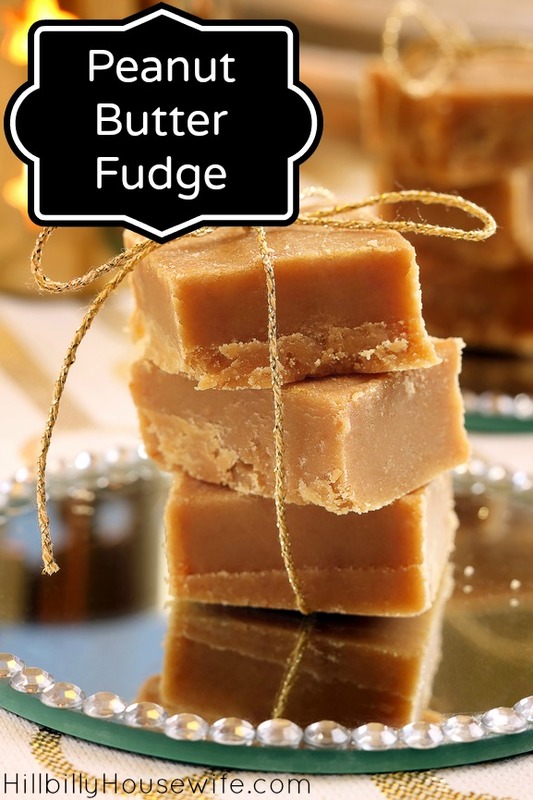 It turned out great and is our favorite fudge recipe yet. It turned out a little softer than our other fudges, so this one is staying in the fridge until it’s gone (which won’t be long). It’s a little sticky and messy to make, particularly when getting the marshmallow creme in the pot. It’s well worth it though. Butter a 8×8 pan or a small casserole dish. Pour the sugar and milk into a heavy pan. Make sure you use a pan that’s large enough to add the remaining ingredients and stir everything together. Heat the mixture over medium high heat until it comes to a boil. Boil it for 3 minutes. Watch it carefully and do a lot of stirring so the milk doesn’t bubble over. Reduce the heat a bit to keep it boiling but prevent it from boiling over. Add the peanut butter and marshmallow cream and stir them in until everything is smooth. Pour the hot mixture immediately into the prepared dish. Sprinkle with toppings if desired (we added chocolate chips on half the pan) and cool in the fridge until set.